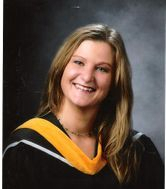 Paula Murray has her BSc degree from Mount Saint Vincent University and Early Childhood Education Diploma from Georgian College. She is the founder of Bean Sprouts and has been operating the center since 2004. She has over 17 years experience in the field of Early Childhood Education and continues to keep current by attending workshops and networking with peers. She is currently working in both the Preschool and Afterschool Programs. All staff and volunteers are required to have a Child Abuse Registry, Criminal Record Check, C.P.R., First Aid and sign an agreement that they have read and understood our Behavioural Guidance Policy. This policy outlines what is expected of our staff and volunteers when dealing with behaviour in our center. Our staff and volunteers work hard to prepare and ensure a quality program for the children.